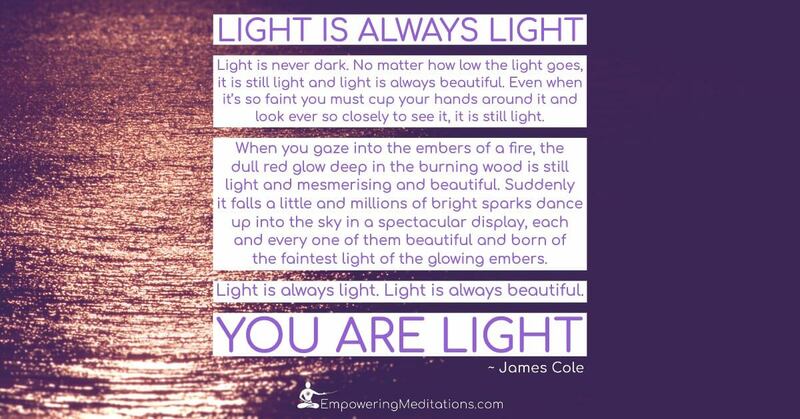 Light is never dark. No matter how low the light goes, it is still light and light is always beautiful. Even when it’s so faint you must cup your hands around it and look ever so closely to see it, it is still light. When you gaze into the embers of a fire, the dull red glow deep in the burning wood is still light and mesmerising and beautiful. Suddenly it falls a little and millions of bright sparks dance up into the sky in a spectacular display, each and every one of them beautiful and born of the faintest light of the glowing embers. Light is always light. Light is always beautiful.